The simple disc motif on this tile has a strong graphic impact and a modern feel, while the softly blended edges and the gorgeous variation in texture and colour give the tile a tactile, sensual, and handmade feel. 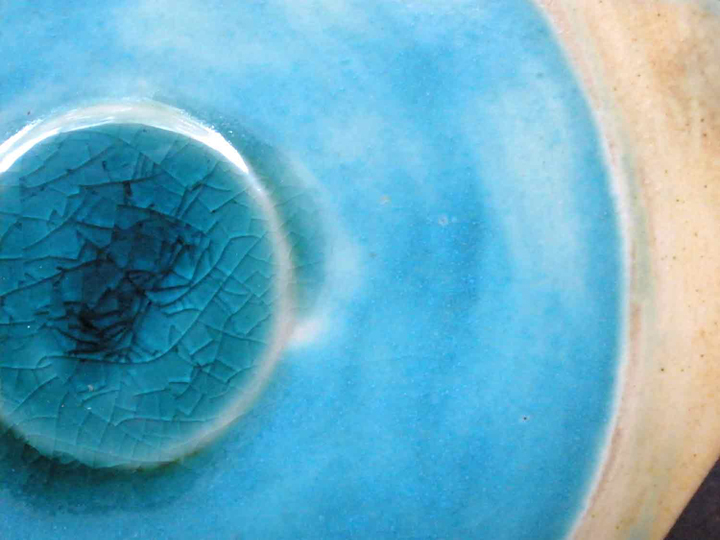 Three of our favorite glazes are meticulously hand-painted on to each piece, in different combinations. 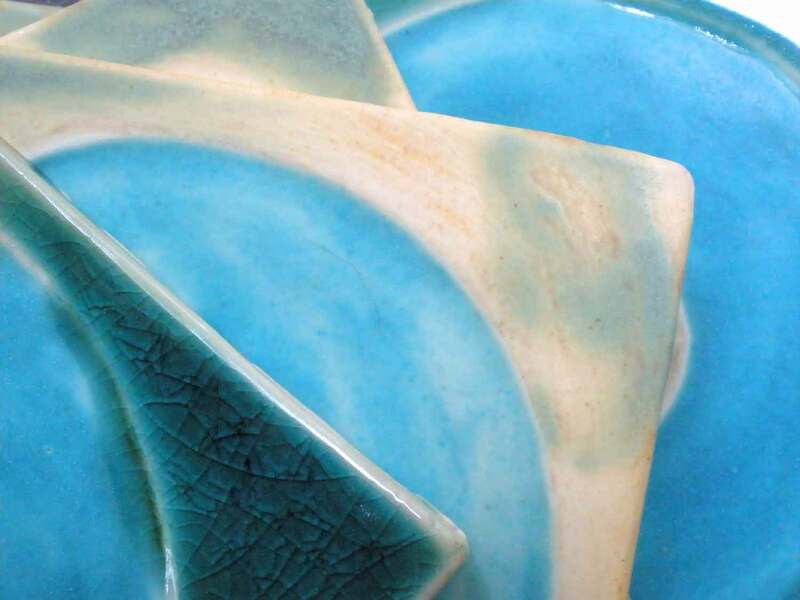 Our glossy, transparent Turquoise Crackle Glaze with its gorgeous sea-green variations is placed next to our Turquoise Matt glaze, which is satiny to the touch and definitely reminiscent of the mineral turquoise. Our Matt Green is thinly applied so the buff stoneware body of the tile can peep through. This is a very versatile piece. We've even seen it used as a field tile, with a large number of discs grouped together over a cooktop creating a daring, modern backsplash installation. 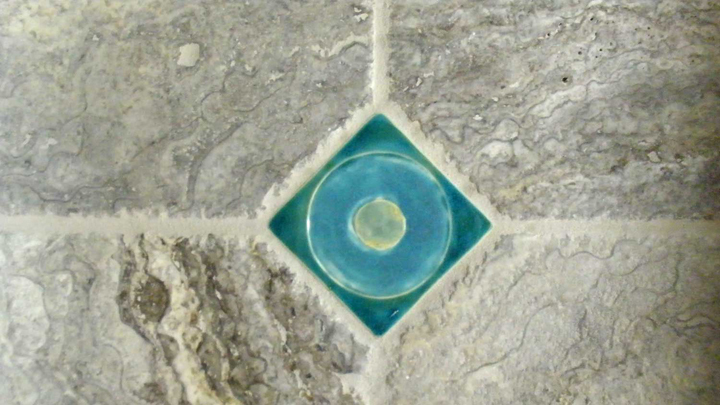 More often, our clients use this piece as an accent in a field of 4" buff or turquoise tiles. 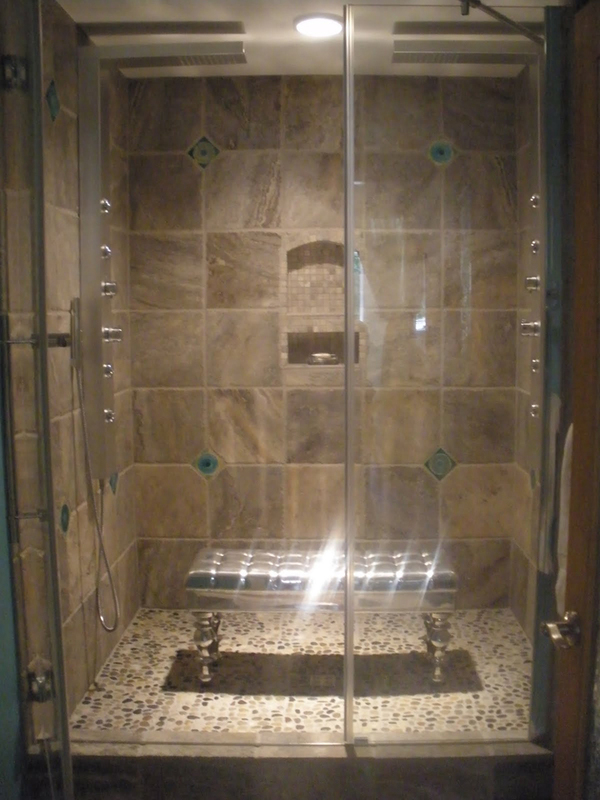 In a recent shower installation, shown above and below, the turquoise glazed tile sets off the varied natural grey of travertine beautifully. We like this tile as an accent in a kitchen backsplash. It's a good pairing with stainless steel, but would also work with distressed buff-to-cream old farmhouse style millwork. We love that versatility. How would you use this tile? 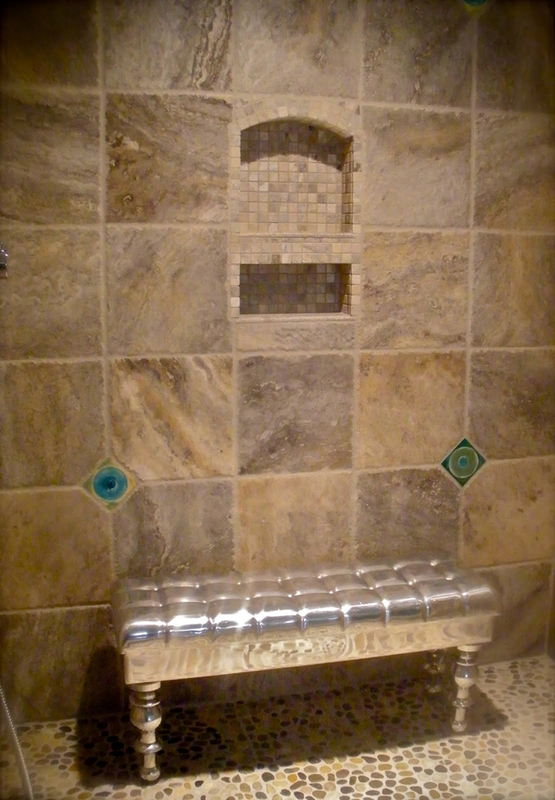 I am currently accepting select art tile commissions, contact me if you'd like me to consider your installation. As well, single pieces are occasionally available in the Shop.